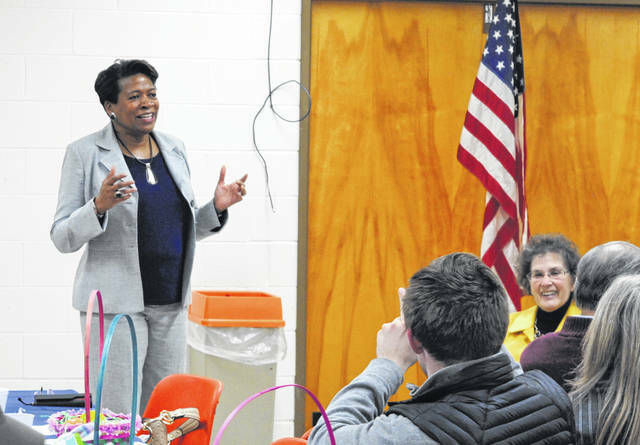 Justice Melody J. Stewart, standing, speaks at the Highland County Democratic Party dinner Tuesday evening at the Highland County Administration Building. Stewart is the first black woman to be elected to the Ohio Supreme Court, according to party Chairwoman Dinah Phillips. David Pepper, the chairman of the Ohio Democratic Party, also spoke at the event.